Intermediate Drive (i-Drive) technology is a unique drive system that can engage the belt in the carryway and returnway. With I-Drive technology, you have the freedom to run a single belt for long distances without transfers. 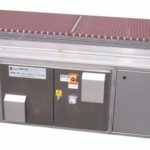 High capacity pan and product cooler with minimum floor space requirement. 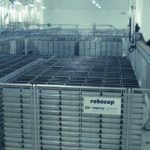 Continuous linear product cooler with Capway® endless conveyor belt. The Captilever concept provides an economical, movable and space saving design. 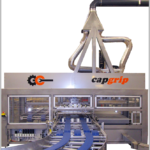 The Captilever assures gentle depanning and utilizes the same vacuum system as the Model 2000 Depanner. 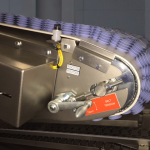 The JSD Auto Vacuum Control is a Capway Depanner option. 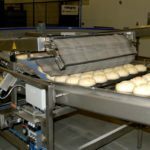 The Model 2000 Depanner is the ideal machine for inline depanning of bread, rolls, bagels, croissants, pizza and other specialty products. 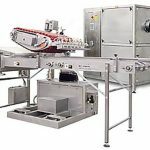 The combined Pick & Place depanner/de-lidder is the ideal machine for lidded and open top bread in high-output industrial lines. 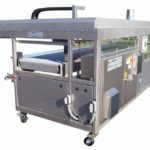 The scrabble depanner is the ideal machine for in-line, gentle depanning of rolls and other delicate products from flat baking trays without the use of a vacuum. 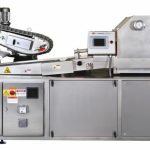 The Capway Scrabble Oven Loader ensures a reliable way of transferring delicate products from peelboards onto the oven hearth. 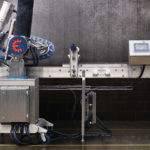 The Capway Oven Loader ensures a reliable way of feeding different pan types onto the oven hearth. 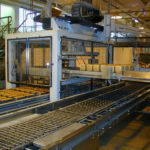 The Capway Oven Unloader transfers rows of pans from the oven belt to the oven discharge conveyors. 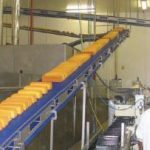 Continuous linear proofer incorporating the Capway endless conveyor belt. 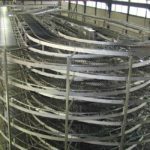 High capacity rack cooler with minimum floor space requirement and no product transfers. 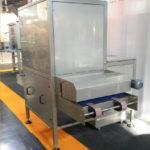 High capacity proofer with minimum floor space requirements for pans and peelboards. The CapLid is an inline pan lidder. 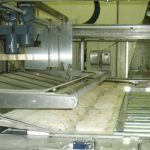 The CleanCap is the ideal machine for the cleaning of bread and roll pans after depanning. 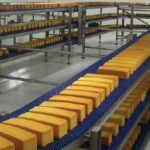 Robotized, automatic storage system for the stacking, storing, and accumulation of pans or trays within high-output industrial lines. 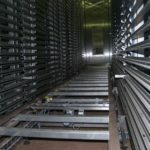 Robotized, automatic storage system for the flexible and economic stacking and unstacking of different types of pans or trays within industrial production lines. 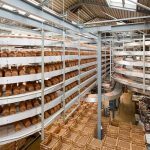 YOUR SINGLE-SOURCE SUPPLIER FOR THE BEST BAKING EQUIPMENT IN THE BUSINESS. 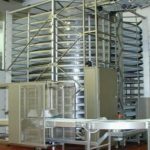 Our broad product line allows us to offer an excellent array of world-class bakery equipment. 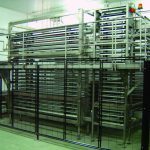 From oven systems, proofing systems, conveyor lines, cooling systems, specialty components, to storage and retrieval systems, and our renowned depanning systems makes us the ideal single-source partner to meet the challenges of the rapidly changing market place. 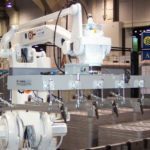 And if we don’t have exactly what you are looking for we have the engineering and manufacturing capabilities to build exactly what you want. Copright © 2016 Capway. All Rights Reserved.